The Y-Cam Bullet isn’t cheap, but the $399 goes a long way. 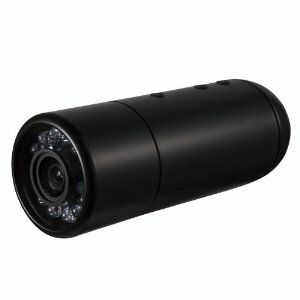 It’s an outdoor, weatherproof IP cam, enabled for either PoE or wireless, with up to 50 feet of IR night vision, two way audio, and a great picture. It has the most accurate daytime colors of any night vision cameras that we’ve tested. Paired with Sensr.net, you can watch your fancy Y-Cam Bullet from any place, even behind that pesky work firewall. Just don’t let the boss know!